BHU MBA Admission 2019: The Banaras Hindu University is a Central University which is also known as BHU. BHU was founded by the Bharat Ratna Mahamansa Pandit Madan Mohan Malaviya in 1916. It offers admission into various UG & PG Courses through its own entrance exam or Admission process. Latest Update 10 Sept.: BHU Admission application form is releasing from 10th September 2018 “Today”. Check the Details and procedure Below!! 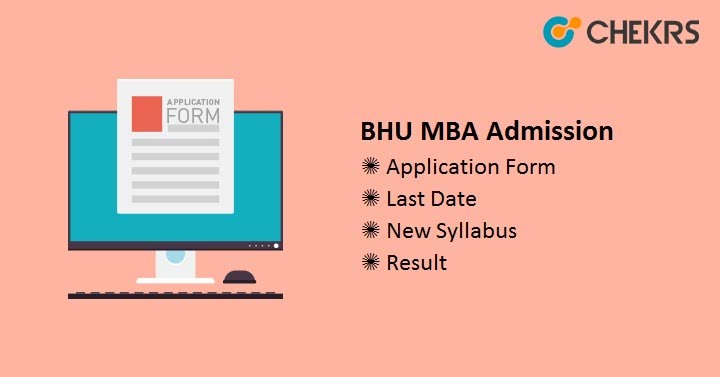 Latest Update: BHU Admission Notification 2019 for MBA programme has been released. Check Here: BHU MBA 2019 Notification !! BHU is Comprised of 5 institutions and provides admission into MBA through CAT Entrance Exam. In this article, we are providing all the information regarding BHU Admission Form and process to get admission into MBA. BHU MBA Admission Form submission process will start 10 days earlier from CAT 2018 Registration Closing date. So we are here combining CAT and BHU Admission 2019 Dates. BHU MBA Admission will be on the basis of combined merit of the candidates in CAT conducted by IIM, So candidates must have to fulfill the CAT Eligibility Criteria first, to apply for CAT 2018. Other BHU MBA Eligibility Criteria are given below. Candidates should also fulfill the minimum Management Studies, eligibility requirements for appearing in CAT 2018. PG degree in any discipline with an Institute with a minimum of 50% marks in aggregate from any University/Institution recognized by AIU/AICTE. For SC/ST candidates, 45% marks are required. Candidates who are Appearing in the final year of the qualifying examination are also eligible after providing a certificate from the Head of the Institute/College. Admission in MBA will be Provided on the basis of combined merit of the candidates in CAT 2018 (50%), academic records (20%), GD and PI (30%). Admission form or Application form will be available in the month of September/ October 2018. Just after the releasing of CAT Application form. Candidates need to fill the CAT 2018 Application Form and then BHU MBA Admission Form, to get admission into BHU MBA. MBA and MBA IB program’s admission form filling is the online process. Candidates are required to have a valid email id and mobile no. for registration. All the Candidates who want to get admission into MBA Program are required to appear in CAT 2018, which will be conducted by IIMs. So first go the CAT website and register yourself and then fill the application form. BHU MBA Admission Application Fee is Rs. 1500/- and Rs. 800/- for SC/ST candidates. The Application fee can be submitted through online mode only. There are some percent of total intake reserved in MBA & MBA-IB Programs as per University / Government of India Rules. Here are the details about the reservation in BHU MBA Admission. After the CAT result, all the candidates who qualified the exam and filled the application form will be called for counseling. This BHU MBA Counselling will be conducted for provisional admission on the basis of combined merit of the candidates in CAT 2018 (50%), academic records (20%), GD and PI (30%) and most important the eligibility. If more than one candidate securing equal then the admission will be provided to candidate having secured higher marks in the qualifying examination, if marks is also same then the candidate senior in age will be preferred. Candidates are required to bring all the original documents for verification in the counselling or Provisional Admission Process. List of Some of the required documents is listed below. Transfer Certificates (if any). Etc. Note: Full list of required documents will be informed by the authorities. If any candidate successfully passed the document Verification Process and BHU Provisional Admission in MBA is offered to him/her. Then all his/her original documents will be detained in the Institute. But there is nothing to worry because all documents will be returned to them after completion of BHU Admission formalities.